Read the stories that were in the October edition of the Big Thrill. The October issue contains a number of exciting firsts. 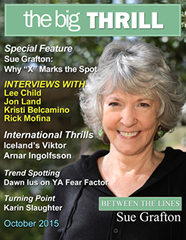 This month Sue Grafton makes her debut in The Big Thrill, with a candid conversation on the craft of writing. In the first outing of the column “Turning Point,” Karin Slaughter reveals what’s different about her new novel, Pretty Girls. “Trend Watch” will report on changes in suspense publishing, and Dawn Ius writes about horror making a resurgence in YA, taking its darker cue from what’s on TV these days. In “Guided Tour,” Peter Tonkin gives a first-hand account of exploring Dahab, an Egyptian town on the coast of the Sinai Peninsula, which became the setting of his new novel. Lee Child gives an exclusive interview to The Big Thrill on finding the boundaries of Reacher’s world. C.M. Elliott talks about writing books set in Zimbabwe and Viktor Arnar Ingolfsson about the writing life in Iceland. Don’t miss our other interviews with Jon Land, Kristi Belcamino, Rick Mofina, Richard Godwin, Leigh Perry, James Hankins, Allen Eskens, Kira Peikoff, and many more. 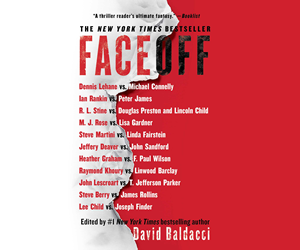 The latest thrillers from Tess Gerritsen, Jeff Lindsay, Douglas Preston and Lincoln Child, David Baldacci, Allison Brennan, Lisa Scottoline, Mark Leggatt, Austin S. Camacho, Alan Jacobson, C. Joseph Greaves, Paul McGoran, Elizabeth Edmondson, Toby Tate, Cathy Clamp and many more! 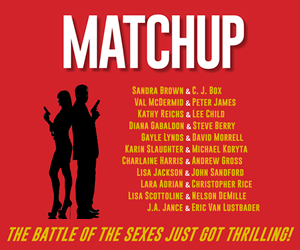 ThrillerFest XI: Early Bird Registration is Open! Your ThrillerFest team is already hard at work planning for next July’s conference where we’ll feature 2016 ThrillerMaster Heather Graham and bestselling authors C.J. Box, Gillian Flynn and Walter Mosley. The 2016 Silver Bullet will be announced shortly. Like a compelling page-turner, we need to keep you in suspense, so stay tuned for more details! Master CraftFest: Don’t miss this opportunity to study with the Masters of the genre in a one-day intensive workshop to take your writing to the next level. 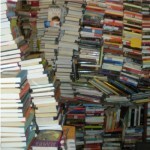 Everyone is welcome, from beginning writers to well-established authors. The instructors this year will be Steve Berry, Grant Blackwood, David Corbett, Meg Gardiner, Heather Graham, Andrew Gross, Richard Krevolin (Screen Writing) and Gayle Lynds. CraftFest: Director D.P. Lyle, M.D. is already recruiting talented teachers to broaden your knowledge about the craft of writing as well as experts in fields like forensics and firearms so you can get the facts right in your novel. PitchFest: PitchFest is dedicated to pitching your project face-to-face to agents, editors, and producers. It’s an unprecedented opportunity for writers looking to get or change agents. Check out some success stories! 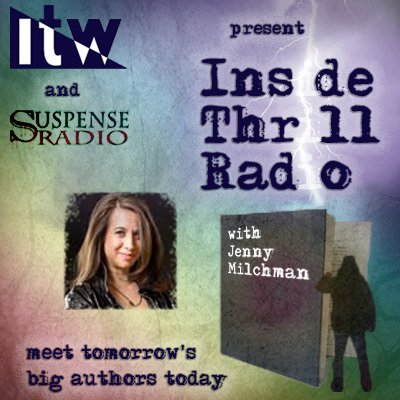 ITW’s Third Annual Online ThrillerSchool! In this seven-week program, which begins March 14nd, 2016, the craft of thriller writing will be front and center. Each instructor will teach an aspect of craft though a podcast, written materials that include further reading and study suggestions, and an entire week of online Q&A with the registered students. The goal is simple: To make each student a better writer. Check out what’s in store for October. You won’t want to miss it! Congratulations to Christopher Castoro, the winner of this month’s BIG THRILL giveaway. Christopher will receive an assortment of signed thrillers including Slaughter by John Lutz, Anne & Henry by Dawn Ius and Coast to Coast: Murder From Sea to Shining Sea edited by Andrew McAleer and Paul D. Marks. All subscribers to THE BIG THRILL online magazine are automatically eligible for the monthly drawing. CLICK HERE to subscribe to the BIG THRILL email.